As long as Back To School* is a theme around here, it would only be appropriate to educate readers about the Chalkboard Bowls with Lids. 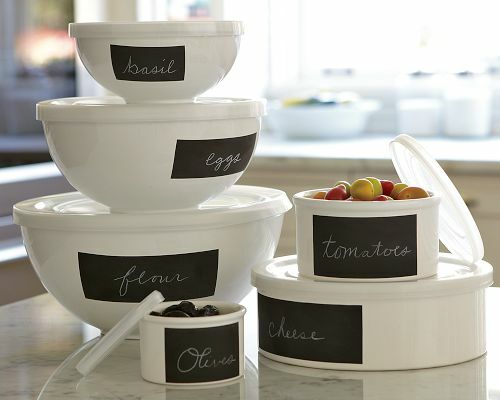 The set of three bowls not only come with lids for easy storage, but also with integrated chalkboard panels to make it easy for labeling contents and date. So come winter break, you know very well not to open the bowl marked eggs that found its way to the back of the fridge. *There used to be a thing called chalkboards in the classroom. Kind of like a big touchscreen, except you got chalk dust all over you when you touched it. That and you had to make it work manually.